Making healthy substitutions is a popular weight loss method. But many of the healthy foods you’re choosing may actually be making it more difficult for you to lose weight. In fact, some health foods may be just as unhealthy – if not more so – than the foods they’re meant to replace. 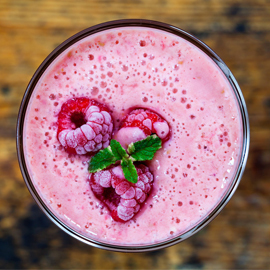 Healthy smoothies: Even fast food restaurants are promising healthier options in the form of fruit smoothies these days. But are these smoothies really good for you? Not necessarily if you’re trying to cut calories and lose weight. A cranberry flavored smoothie from one popular chain contains over 900 calories, 2 grams of fat, and 146 grams of sugar. The problem is not knowing what ingredients are added to the fruit. Before placing your order, ask to see a nutrition facts sheet. Turkey bacon: Swapping pork bacon with turkey varieties is a popular weight loss trick, but you’re probably not saving yourself any calories with the switch. A strip of either variety will usually contain about 35 calories. Furthermore, turkey bacon often has more sodium than regular bacon. What’s the solution? Read your labels and consider ground turkey breast with your eggs instead. Chicken entrees: Not all chicken entrees on restaurant menus are bad, but neither are all chicken breast options healthy. What makes the difference? Take a closer look at how your originally lean protein source prepared before being brought to the table. Stick with grilled, baked or broiled chicken and stay clear of extra sauces and cheese toppings. If you’re unsure, ask your server how a dish is prepared and how it is seasoned. In order to lose weight, you have to make sure that you understand the reasoning behind weight loss tips. Eating chicken isn’t enough to cut calories and fat unless you understand that the end goal is to actually avoid extra calories and fat, including the kind that come from sauces.